This free 15-page guidebook was created with one goal in mind – to help avoid the stall-outs that happen at the beginning of projects, and thus help solidify online working relationships, while removing initial frustrations. Complete with references and resources, it’s a must-have for any digital entrepreneur! Be sure you can hit the ground running in any project by covering your business bases within your branding, copy, expectations, communications, and planning. Planning to grow your business? Each step inside the Project Prep Guidebook prepares you and your business for growth (in both revenue and relationships!). Don’t get duped by beautiful design and stories of six-figure success. Great business products are created through flexible planning and a key mindset component. 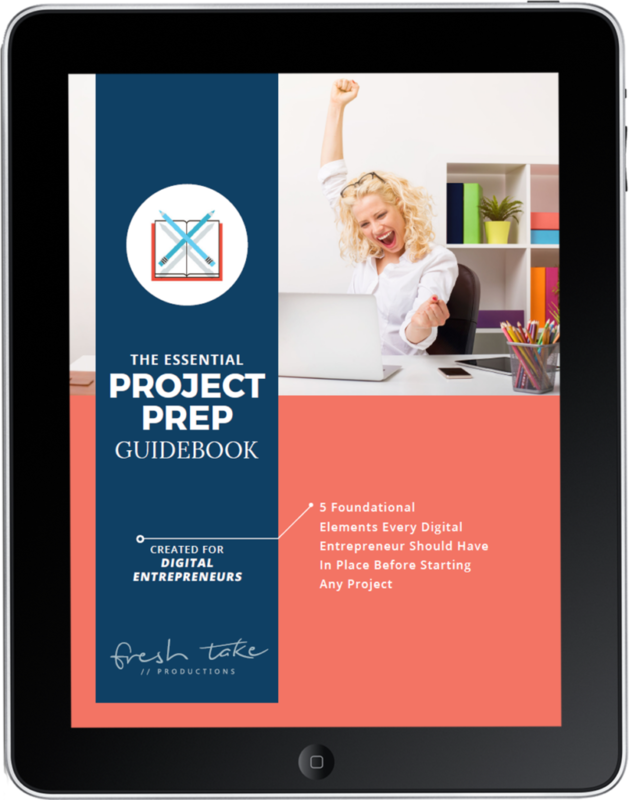 Get The Essential Project Prep Guidebook Now! Are your prepped for success? Knock-out these essential project prep steps that will help you start any digital project in your business with confidence and ease!